Thank you for your interest in renting the facilities at Kure Beach FBC (“KBFBC-RC”). This form contains the Rental Agreement (“Contract”) and basic information about KBFBC Retreat Center. If you have any questions about this Rental Agreement (“Contract”) or wish to check availability, please call our office at 910.458.5074 or check our website www.kurebeachfbc.com/retreatcenter. Please note that before a reservation date is confirmed, this Rental Agreement (“Contract”) and a deposit of $500 for a weekly rental or a deposit of $200 for a weekend rental must be received by our office. For all new renting groups, in order to confirm your booking, either a deposit of 10% of the contracted amount or the existing deposit amount noted above, whichever is greater, must be received by our office with the submission of this Contract. Payment for all rental bookings are to be paid as follows: 50% of the contracted amount is due 30 days prior to arrival. The remaining balance is due upon check-in/arrival at the retreat center. If a different payment arrangement is requested, Kure Beach First Baptist Church must approve it in writing thirty (30) days prior to the retreat center reservation or when the contract and deposit have been received, whichever is earlier. Payment can be made via check or credit card (online). See, KBFBC Retreat Center website: www.kurebeachfbc.com/retreatcenter for more information on submission of payment. The Rental Agreement (“Contract”) needs to be completed in full with all dates and times listed in order to confirm your reservation date. A final attendance guarantee, along with your recreation plan, must be received by our office within ten (10) days prior to the start of your camp/retreat. 208 S 6th Ave., Kure Beach, NC 28449. 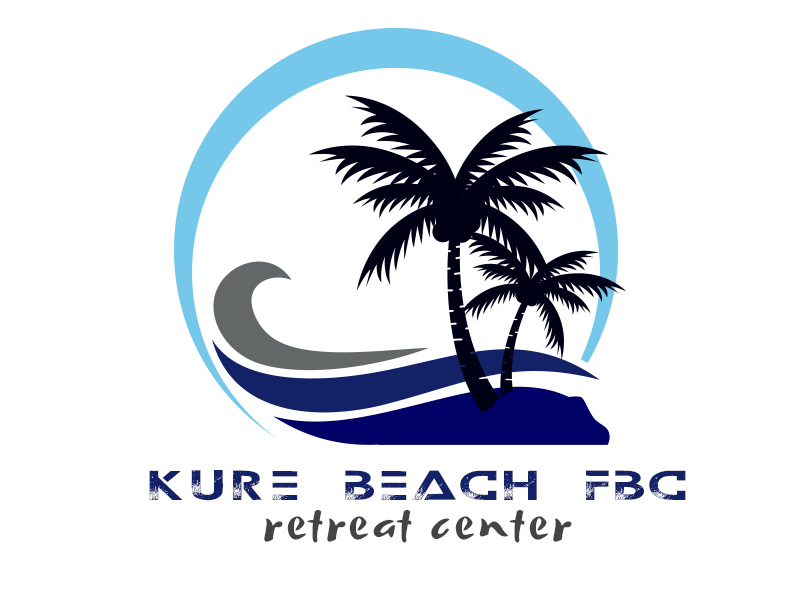 Enclosed you will also find General Information about Kure Beach FBC Retreat Center and our Rental Policies. Please be sure to distribute that information to your participants. Thank you again for your interest. We look forward to working with you and helping to make your group’s event a success. A final attendance guarantee must be submitted ten (10) days before your camp. A variance of 10% is allowed. If the actual camp numbers are less than 90% of the final attendance guarantee provided, you are responsible to pay 90% of the final attendance guarantee. If the actual camp numbers are above 110% of your final attendance guarantee provided, an additional $10 charge per person over 110% of your actual number will be applied to your invoice, in addition to the regular rental rate. The Retreat Center Rate includes lodging for the designated nights and access to kitchen/dining hall facilities. Check in is at 3pm or later on your first day and check out is at 12pm on your last day, unless other arrangements have been made in advance. A deposit is due to hold your dates ($500 deposit required for Weekly Lodging & $200 deposit required for Weekend Lodging). For groups of less than 30 there is the possibility of sharing the facility with a smaller group or have the option of the entire facility at a rate of $480 per night. 1. Kitchen/Dining facility is included in the daily lodging rate if requested, a seperate refundable cleaning deposit may be required. 2. The kitchen facility provides the use of basic cooking utensils, stoves, refigerator/freezers and dishwashers. The retreat group will oversee cleanup and will be responsible for adhering to the food safety procedures posted in the kitchen. A copy of the kitchen/dining procedures will be provided to you at check in. 3. The Retreat Center does not provide paper goods/utensils/trays/cups for any meal. 1. Weekday check-in time is no sooner than 3 pm. This is when your lodging will be available. Check-out time is no later than noon (12 pm) to allow staff time to prepare for the next guests. 2. Weekend camps check-in time is no sooner than 12pm. Check-out time is no later than 4pm on the last day , unless otherwise agreed. 3. A designated CONTACT PERSON shall contact the Retreat Center Coordinator or degignee upon arrival and departure of KBFBC grounds. This leader is required to do a walk-through of the camp with a designated staff member at both entering and leaving the facilities. At this time they shall take full responsibility for proper care and use of the buildings, furnishings, grounds, and equipment used by the group. This must be done before group registration and are allowed on campus. 4. The guest group understands that KBFBC staff has final authority on all matters affected KBFBC, its facilities and its guests. The guest group agrees to pay for any damages to KBFBC property beyond normal wear caused by any member of said group. 5. Furniture, beds, game tables, etc are not to be moved or rearranged except by permission of the Retreat Coordinator or designee. 6. Buildings, structures and trees are not to be climbed, altered or defaced in any way (this includes graffiti, as well as hanging or putting anything on or into the walls). 7. Any situation or circumstance on campus that requires extra cleaning, will be charged an extra cleaning fee. 8. Any guests that have arranged to come in a night early are required to check-in with the Retreat Center Coordinator/designee no later than 9pm, unless as otherwise agreed. KBFBC will provide sleeping quarters, use of bathroom facilities and drinking water. Guests are expected to supply their own food, paper goods and means of preparing it. 1. KBFBC does not administrate programs. Applicant is responsible for speakers, counselors, ushers, sound operators, first aid attendants and any other personnel connected to the program. 2. The use of alcohol, marijuana and any non-prescription drugs (controlled substances) is strictly prohibited. Smoking (or vaping) is not allowed anywhere on the KBFBC grounds. Violation will be cause for immediate dismissal without refund of contractual obligation. 3. No pets allowed on the grounds or guest quarters. 4. With respect for other guests and the surrounding community, a noise-curfew of 11:00pm will be strictly enforced. 5. Guest groups must provide at least one adult supervisor for every eight school-age participants. 6. Persons under eighteen (18) years of age must be under the supervision of responsible adults. Overnight lodging will not be permitted for those without adult supervision. 7. Possession or use of any weapon, firearm, fireworks is strictly prohibited. 8. Dress of campers and camp staff shall always be modest. Campers who wear attire such as bikinis, short shorts, or vulgar logos will be asked and expected to change clothes. 9. Males and females are not allowed in each others’ rooms (for camps, retreats, etc). 10. KBFBC reserves the right to book another group simultaneously if facility capacity permits. 11. All Retreat Center facilities will be left clean and ready for the next occupants according to the cleaning guidelines posted. 12. We do ask that groups during the fall, winter, and spring seasons suggest to their individual campers to bring flashlights, as it gets dark in those seasons. 13. The lodging group agrees to keep the grounds and buildings orderly and clean during the rental period and leave them in the condition in which they were found when first occupied. Lodging group must clean rooms upon leaving - vacuum/sweep and remove trash to the designated garbage area. A specific cleaning check list will be provided to lodging group. Any building left unclean will result in a fee. 14. The lodging group agrees to provide a criminal background check for chaperones – with the compliance form submitted before arrival. The KBFBC Retreat Center has as its purpose Christian groups and retreats. Therefore, all groups must agree to abide by the guidelines indicated in this contract and those posted on the grounds. The group leader accepts full responsibility of communicating these guidelines to the participants and must follow through to ensure compliance. The business administrator of the organization or pastor of the church is to sign-in the space provided on this Contract and return to KBFBC as indicated. I have read and understand the provisions of the camp policy for Kure Beach First Baptist Church Retreat Center and agree to be responsible for the execution of this policy for the group that I represent. I understand that activities conducted by renters of the KBFBC Retreat Center facilities are the sole responsibility of those who sign the contract, for their medical liability insurance. As the undersigned and contact person, I understand and accept the conditions of this contract on behalf of the user group. I accept responsibility for interpreting the fees to participants and seeing that KBFBC receives full payment. I have read the entirety of the Rental Contract Packet and accept the conditions as listed. As the Lessee, I release the Lessor of liability from or arising out of the use of the leased premises. Lessee, and members of Lessee’s group, shall be permitted to use all recreational facilities and equipment at each person’s own risk, with the knowledge, understanding and agreement that the Lessor shall be exempt from liability for injuries to any person or property on or about such recreational facilities and the Lessee, and members of Lessee’s group, hereby release the Lessor from any and all liability for damages which may be sustained or incurred by the Lessee, or members of Lessee’s group, resulting from use of such recreational facilities or equipment on or about the leased premises. The Lessee, or members of Lessee’s group, further hereby agree not to file a lawsuit against the Lessor at any time for or on account of any claim for personal injuries, death or property loss, arising or resulting from use of any such recreational facility or equipment on or about the leased premises. The Lessee agrees to be responsible for any and all damages caused by any member of the group under the supervision of such Lessee. The Lessor shall not be required to provide supervision for any recreational activities, facilities, or equipment engaged in or used by the Lessee, or members of Lessee’s group, and the Lessee hereby agrees to provide its own supervision for the group under the control of Lessee. The Lessee agrees that the medical liability insurance is the sole responsibility of the Lessee.